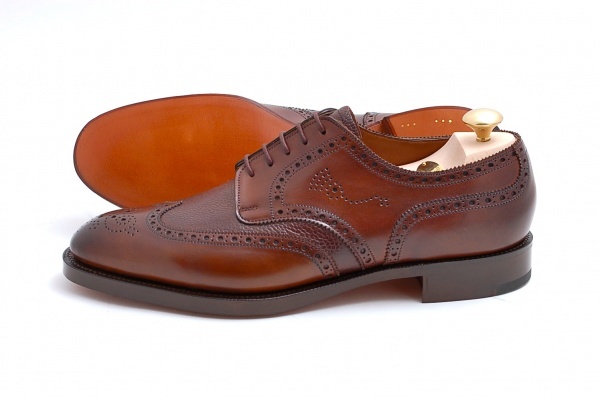 When you look at the full spectrum of hard bottom shoes, there will always be one traditional style that will prevail through the trends: the wingtip. 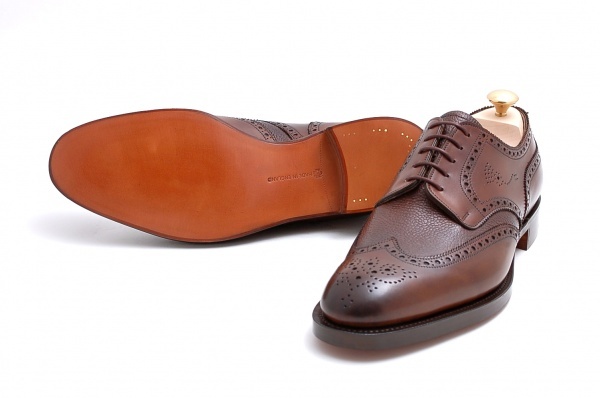 Leffot is currently stocking a very handsome Edward Green model dubbed as the ‘Sandringham’ that would be a welcomed addition to any man’s shoe collection. 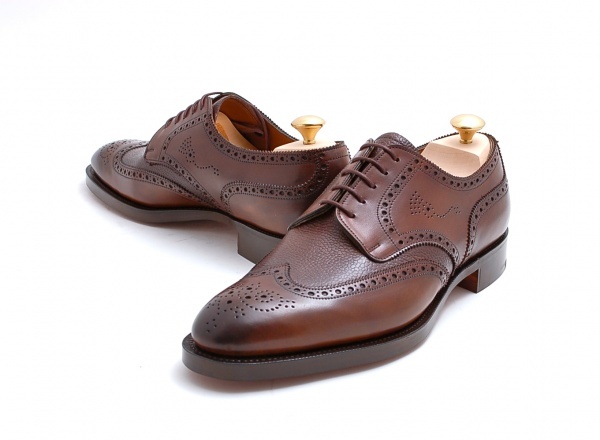 Its dark oak and walnut country calf is an extremely versatile colour that will look great both in the city and in the country. 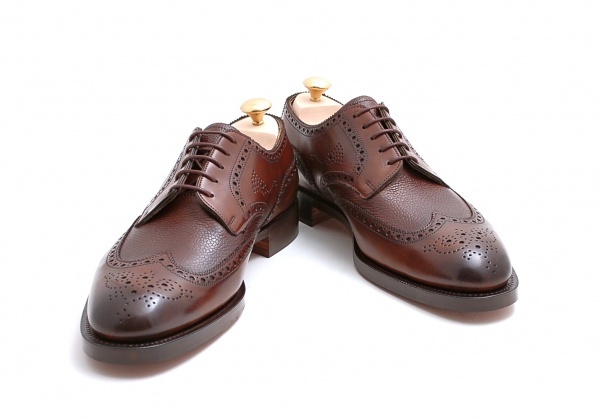 Not to mention, the textured pebble grain leather calf detailing gives these brogues that little extra edge. 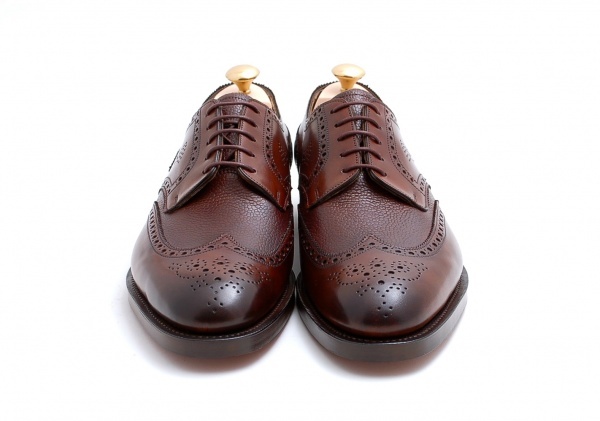 Double leather soles. 202 Last. 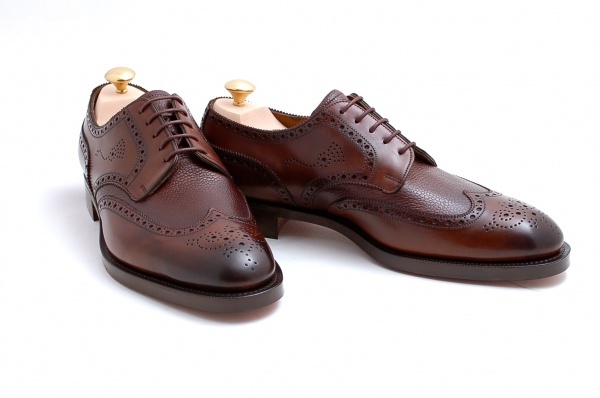 This entry was posted in Footwear, News and tagged Edward Green, Leffot. Bookmark the permalink.